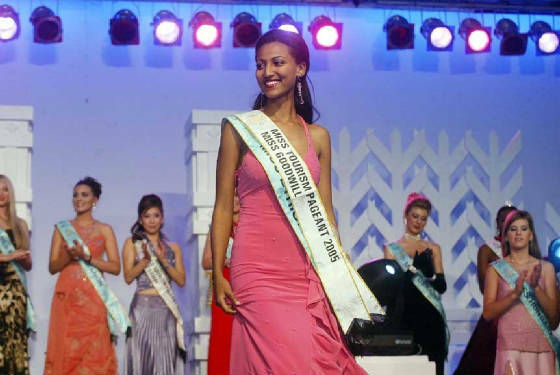 Miss International is the 4th biggest beauty pageant in the world, and the Ethiopian life foundation which owns the licence for Ethiopia is very optimistic about her chances at the contests this year. More so because the pageant is being organised in conjunction with the 2005 Expo in Japan and is a wonderful chance to show Ethiopia’s culture to the world again. Dina has shown that a positive mental attitude is also required to win international contests, not just good looks alone, and she is an example to all young Ethiopians the world over who dream of representing Ethiopia in any international event, she never forgot her duty, and that she was representing her country, and represented Ethiopia very well. Dina follows the continued success for our young Ethiopian models and beauty queens who have under the exclusive sponsorship and guidance of the Ethiopian Life Foundation and it President Mr Andy, proudly represented Ethiopia at several International Tourism events this year and in several previous years. Keabnensh Girms is currently MISS TOURISM AFRICA 2005 winning in Greece at the 2005 Miss Tourism Planet contest last month. This the above results: Winning 3 titles at 3 International Tourism events in 2 months for Ethiopia is proof positive that one person can make a difference to Ethiopia’s international image and this can only be positive for Ethiopia’s International image and highlights the serious need for joint cooperation and support from the various bodies tasked with promoting Tourism in Ethiopia.